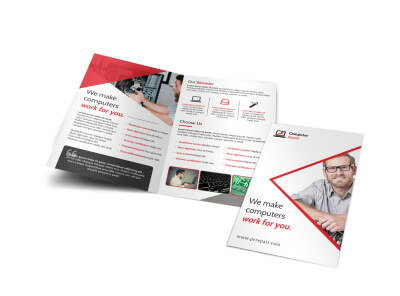 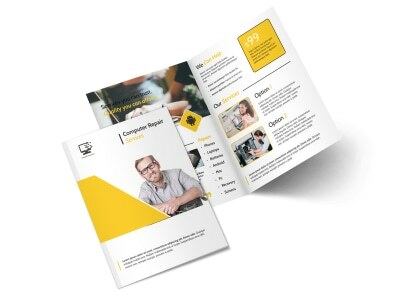 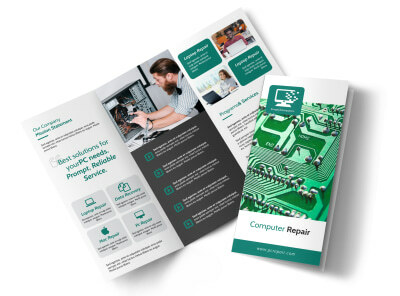 Customize our Classic Computer Repair Bi-Fold Brochure Template and more! 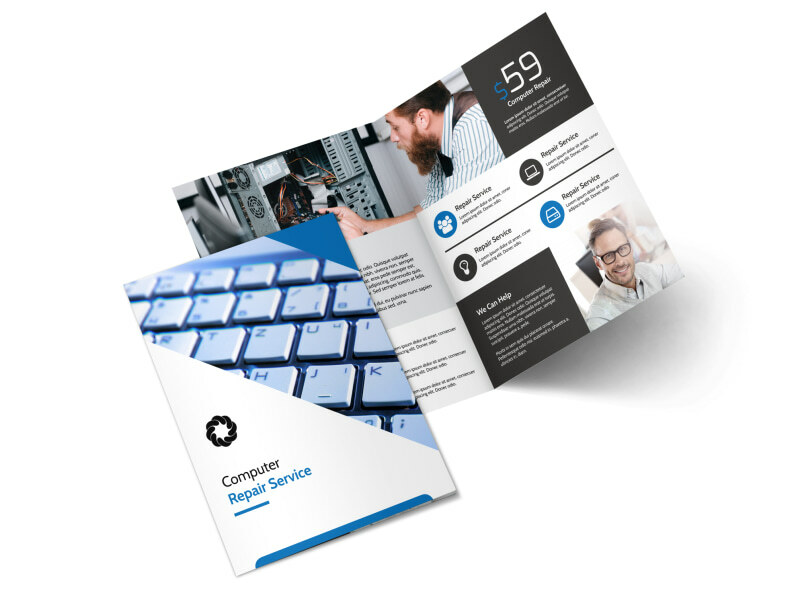 Whether you’re fighting a Trojan or installing extra RAM, you know your stuff when it comes to computer repair so let the locals know with this customizable brochure. 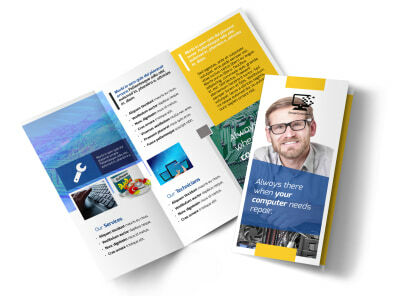 Personalize your design with computer-related images, catchy text, fun colors, and more. 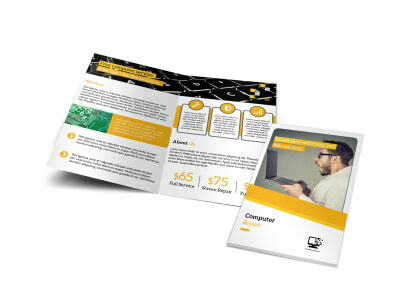 Transform your idea into reality - get started now!